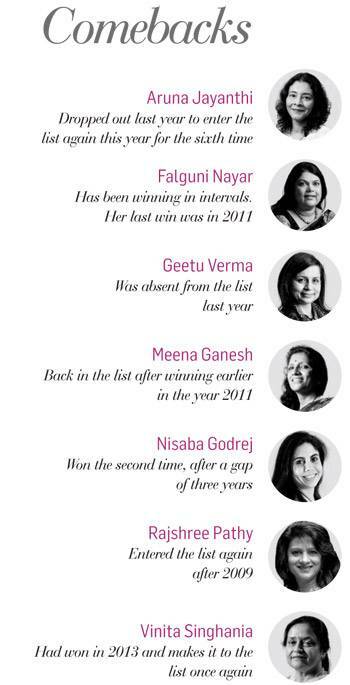 Many more Indian women are rising up the corporate ladder. I was disappointed to hear my daughter say one day that one of her first time clients had presumed that a male subordinate reporting directly to her was her boss," says veteran banker Naina Lal Kidwai. "In her initial interactions with the client she had to work quite hard to set right this misconception." In the 1980s when Kidwai herself was climbing the corporate ladder, such a presumption would have been no surprise. But that it was still being made by some, despite all the glass ceilings broken and peaks conquered by women in the last three decades, dismayed her. "Once informed, clients acknowledge it and change their approach quickly, but the fact is that such biases are still there," says Kidwai. It might be the 21st century but the issues that plague women in the workplace remain the same with inherent patriarchy and unconscious bias being seen as normal. This very attitude forces a lot of women to drop out of the workforce along the way. Payal Kumar, Professor of Management at BML Munjal University, says studies have shown that women rise faster than men from junior manager positions to senior manager. But there they hit the glass ceiling; they don't rise to occupy the C-suite. According to a 2015 report by LeanIn.Org and McKinsey on US companies, women remain under-represented across organisations-especially at senior levels. The situation is worse in India. "The workplace still loses women between the middle and senior levels for the same set of reasons that we have always been losing them," says Kidwai. It is in their thirties, when women are in middle management roles, that professional and personal life demands increase. There is marriage; there are children and parents to be looked after. With India being a highly patriarchal society, most of the care-giving responsibilities fall on women. It is also the professional performance between the ages of 28 to 40 years that are critical to becoming a CEO. A 2015 study of 42 companies, India Inc: Intention to Impact by Catalyst, which promotes inclusive workplaces, shows that while women account for 24 per cent of the workforce at the entry level, their representation slides down to 14 per cent at the executive office level. It is at the later level that women reach that stage in their lives when they need support on both personal and professional fronts. 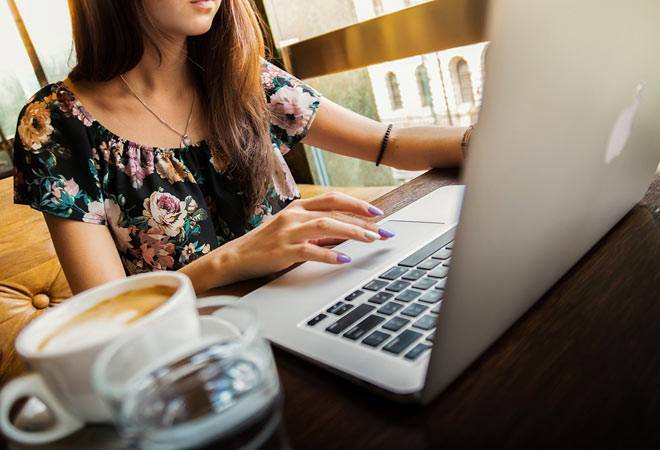 Shachi Irde, Vice President and Executive Director, Catalyst India, says women are often penalised for using flexi-timings or working from home. Often women are not given critical roles after they return from maternity leave. "This makes them feel less valued, and often they decide to take care of their families to overcome the guilt of neither progressing in their careers nor taking care of their children full-time," says Irde. If she constantly has to work more than her male counterparts to prove her worth, the chances of her calling it quits will increase. "Many organisations even today are very masculine in their norms and behaviour, where women struggle to find sponsors and mentors who will take personal interest in helping them grow," says Eleanor Tabi Haller-Jorden, President and CEO of global consultancy and think tank The Paradigm Forum, which works on social justice and workplace innovation, So, along with ambition, it is critical to work for a progressive organisation. Company boards in India rarely featured women until 2014 when the Securities and Exchange Board of India (SEBI) directed all listed companies to have at least one woman member on their boards. Boards have been forced to look for female representation and have grown much more inclusive than before, with women currently comprising 13 per cent of the total number of directors in the Nifty 500 companies - 622 out of a total of 4,690. In comparison, according to the report, Corporate India: Women on Boards by Institutional Investor Advisory Services (IiAS), Women on Corporate Boards Mentorship Program (WCB) and Prime Database, there was just 5 per cent representation in 2012. No doubt some of the female board members hurriedly appointed are promoters' bahu betis, though that too is changing. Around 50 per cent of women board members are executives with professional experience. It is still early days. There's still a long way to go to achieve equal participation of women in the workplace. "The difference is that companies are now recognising the need to demonstrate diversity," says Kidwai. There is a lot of buzz around women-friendly policies. Companies are offering increased maternity leave and flexi-timing; some are offering paternity leave as well. There are also initiatives sponsoring leadership development and comeback programmes for new mothers to create a pipeline of women leaders. Rashmi Mandloi, Managing Partner of diversity consultancy BD Foundation, says that the attempt to have more women on company boards has to start right from the time a woman joins the workforce. "Companies have to think seriously about improving representation of woman, and it can't be done by just putting an inclusive policy on paper," she says. "Companies often look at women friendly policies through a single lens when it is not such a simple strategy. Policies promoting employees' professional advancement have to vary for men and women depending on where they are in their personal and professional lives. Companies have to be sensitive to that." Sarika Bhattacharyya, CEO, BD Foundation, says 10 years ago, maternity leave was not regulated by the government yet ICICI Bank had a six months maternity leave policy. "Companies don't need mandatory policies," she says. "They need to be sensitive to employee needs." The Catalyst study found that 64 per cent of the companies it surveyed had a dedicated staff working towards the development and advancement of women employees. And yet, gender diversity at workplaces remains a problem. Holding leaders accountable for translating intention into impact can be a game-changer, the report also adds. Many women leaders also swear by the support system at home that enabled them to continue working and advance professionally. Zarin Daruwala, CEO, Standard Chartered Bank in India says, "Organisations can only do so much. What is crucial is to have a personal support system, which can be one's parents or one's husband, who helps out." Falguni Nayar, CEO at e-tailer Nykaa, suggests if there are after-school clubs for children during holidays or day-care centres that enable women to juggle work and family, it would be better. Many women believe that if they do their work well, their efforts will inevitably be recognised and adequately rewarded. "But such is not the case - at senior levels visibility is as important," says Bhattacharyya. Womens naivety in this matter hinders their corporate growth. "They have to be perceived as experts and thought leaders," she adds. Networking plays a crucial role as induction into the board happens only through word of mouth - referrals from the Old Boys Club. Women need to create a personal brand. But as they try to do so, there is also the problem of the double bind. "Women have to do a tightrope walk," says Kumar of Munjal University. "They have to be tough managers to get work done, but they also have to be perceived as empathetic or they will not be accepted." There are studies to show that displaying anger at the workplace is detrimental for a woman's career, whereas a similar trait in men is seen as a strength. Even Hillary Clinton had to work to make herself 'likeable'. At the eighth annual Women in the World Summit in April this year, Hillary Clinton linked her election loss to her success and ambition. She maintained that an unconscious bias creeps in - the more ambitious she is, the less likeable she became. Kumar points to a study by BI Norwegian School of Management which showed that androgynous leaders - leaders with both masculine and feminine traits - were seen as more effective and able to create a good climate for innovation. Yet others disdain by trying to adjust personality to fit stereotypes. "I don't understand the need to be masculine or feminine, you need to be more honest as an individual and as a professional," says Nayar of Nykaa. Over the years, as their working numbers have grown, women have learnt to navigate the corporate sea better. "They have learnt to strategically call out biases," says Sangeeta Murthi Sahgal of gender diversity consultancy Diversity Dialogs. The next few years will be critical in showing whether all the women-friendly policies that have been implemented do bring about changes in the workplace. What is positive is that companies are trying to change while women too have grown more vocal about their rights. "The fact that conversations around women rights have moved from the streets to the corporate floor, to boardrooms and ministries marks the beginning of change," said Urvashi Butalia, founder of feminist publishing house Zubaan, at a women writers festival organised by Vedica. The balance is still tilted in favour of men. As long as there isn't equal room for ladies at the top, Business Today will continue to chronicle the success stories of women through its annual Women's Special issue. These are not just stories of success against odds, but of empowerment, of leading the way for new women leaders. Turn over to get inspired.